TuneIn streams broadcasts from over 120,000 radio stations through mobile apps, PCs and smart speakers such as Amazon Alexa. Most of the radio content is free to users, but the company has increasingly added premium programming for live sports as an incentive for users to upgrade to a paid subscription of $9.99 per month. Today, the company announced a new offering called TuneIn Live for Amazon Alexa users. Alexa users can receive a 7-day free trial and thereafter the cost will be $2.99 per month for Amazon Prime members and $3.99 per month for non-members. The free TuneIn service will still be available for Alexa users that are not interested in the live sports programming. There are two interesting aspects to this story. First, this is an example of third-party media monetization through a voice assistant. Amazon Music Unlimited already does this, but that is categorized as a second-party Alexa skill as it is owned by Amazon. 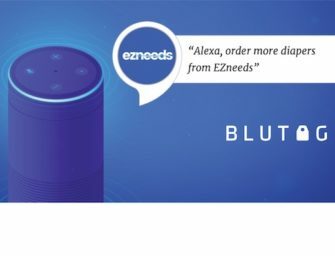 There has been a lot of discussion about monetization through voice assistants. Amazon introduced digital goods monetization for one-time purchases and subscriptions in the fall of 2017. Voicebot was actually the first to report on this new feature for Alexa skill publishers that was originally limited to Jeopardy. The program was expanded and formalized in late November 2017 but at the time the only examples were games. TuneIn represents a new step in monetizing entertainment and news media through Alexa. The other interesting aspect of this announcement is the pricing. TuneIn’s premium subscription is $9.99 per month, but Alexa users can get access to the new service for either $2.99 or $3.99 per month. This is reminiscent of Amazon Music Unlimited pricing which is sold normally for $9.99 per month on mobile, but can be used on Amazon Echo devices for just $4.99 per month. That $4.99 price point was surprising to many music industry insiders that know the music industry licensing requirements for minimum streaming subscription price points. We don’t need to delve into those bizarre licensing arrangements here, but suffice to say the assumption is that Amazon is subsidizing the service for Alexa users and still paying the full amount to rights holders. TuneIn doesn’t necessarily have those same rights restrictions because it is not licensing music so should have more flexibility. However, it is not clear why Alexa users should get such a steep discount compared to TuneIn’s existing premium subscription service. Is Amazon subsidizing TuneIn’s program as well? I have reached out to TuneIn to see if its current premium subscribers now have access through Alexa as part of their existing package or must pay again to get the TuneIn Live package through Alexa. I will update that information here after I receive a response.